Spring Bloom is designed with lots of negative ease to ensure a cosy fit when worn. So don’t worry if they do look a little narrow at first! The generous amount of stretch in the design also means that they will fit a fairly wide range of hand measurements. 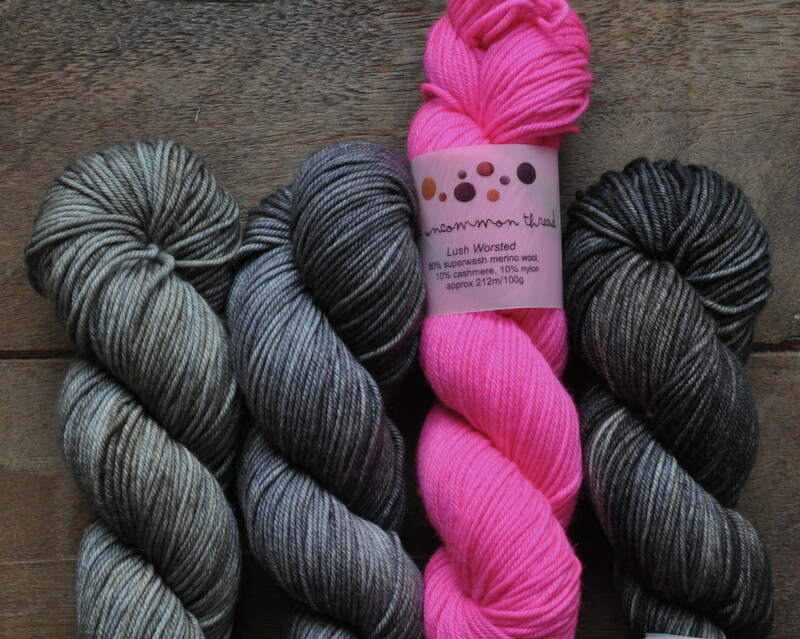 We adore the Uncommon Thread Lush Worsted – you may remember our excitement on the blog when it first arrived! With it’s luxurious touch of cashmere and intense colours, we have over 40 colours for you to fall in love with as well. 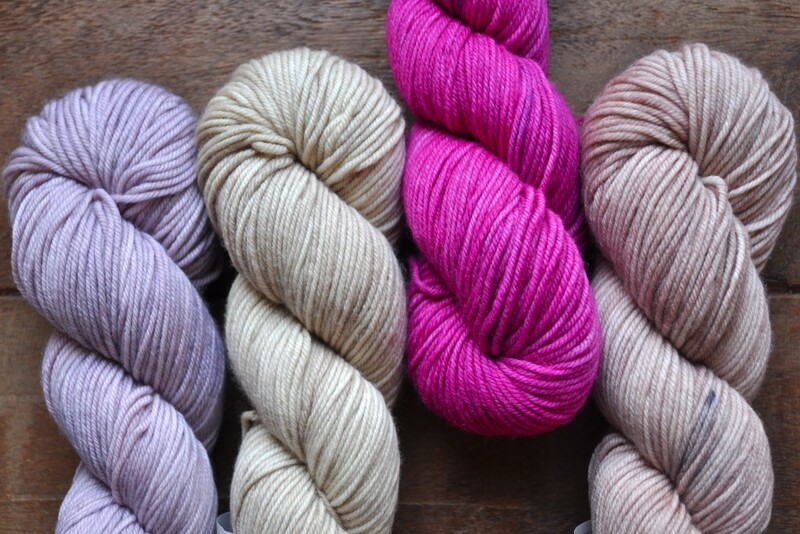 The Uncommon Thread Lush Worsted (L-R) Toast, Baby Elephant Walk, High Vis Pink, Peat. Rachel managed to squeeze two pairs from one 100g skein, ideal when you don’t want any scraps left over. If you want to do the same we suggest weighing your left over yarn and if you have less than 50g left, reduced the length of the cuffs by a few centimetres. 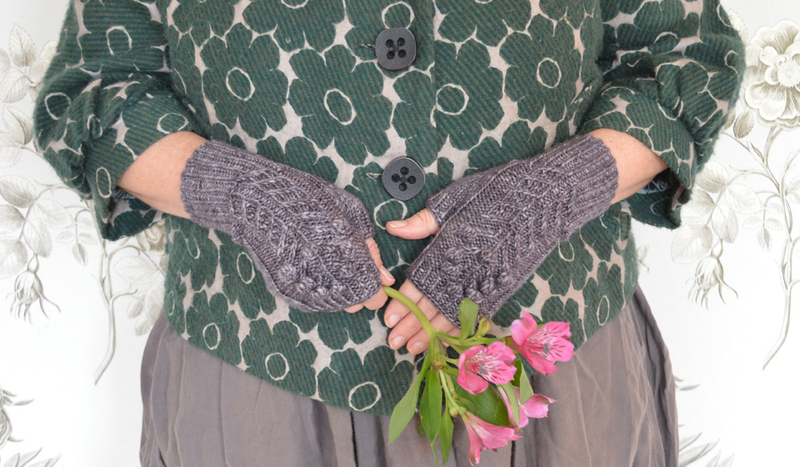 This way you can ensure you have enough to finish a pair of mitts for a deserving friend! Of course, it’s also important to check your tension before you begin as this will affect the amount of yarn you use. 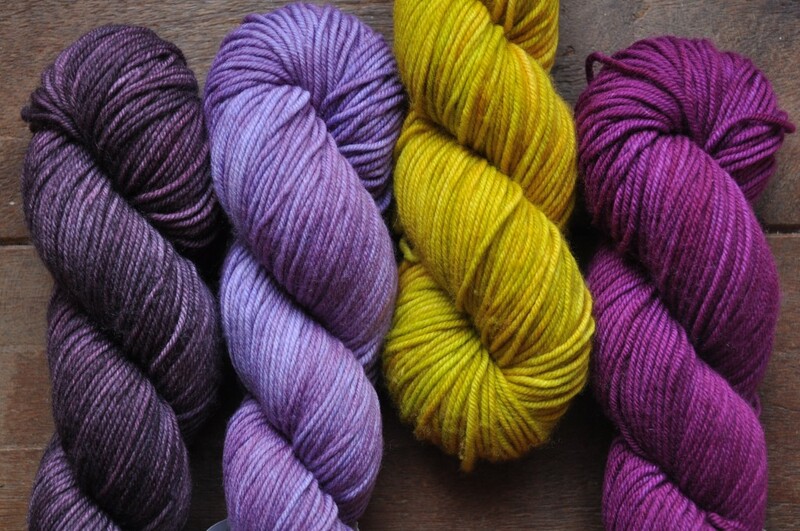 The Uncommon Thread Lush Worsted (L-R) Ripe Plum, Lila, Capsicum, Tourmaline. 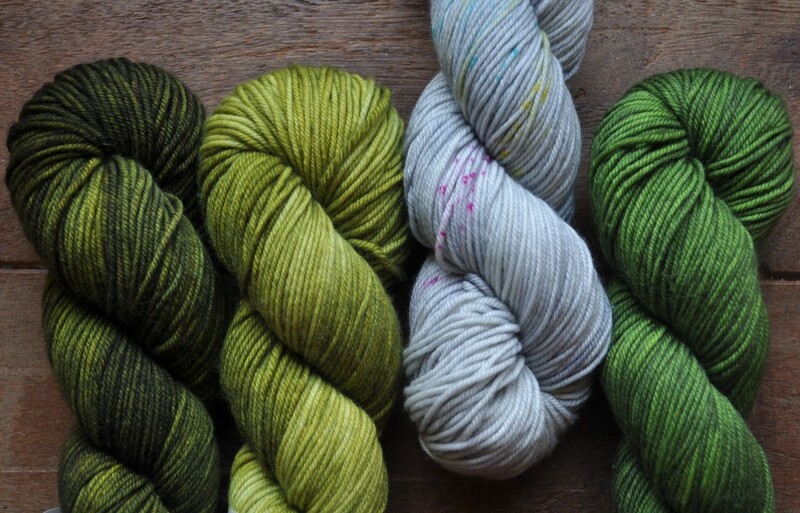 The Uncommon Thread Lush Worsted (L-R) Zitouni, Envy, Confetti, Botany. With so many beautiful shades, you can choose the most vivid shade to brighten a wintery day, or something as pale as spring blossom. 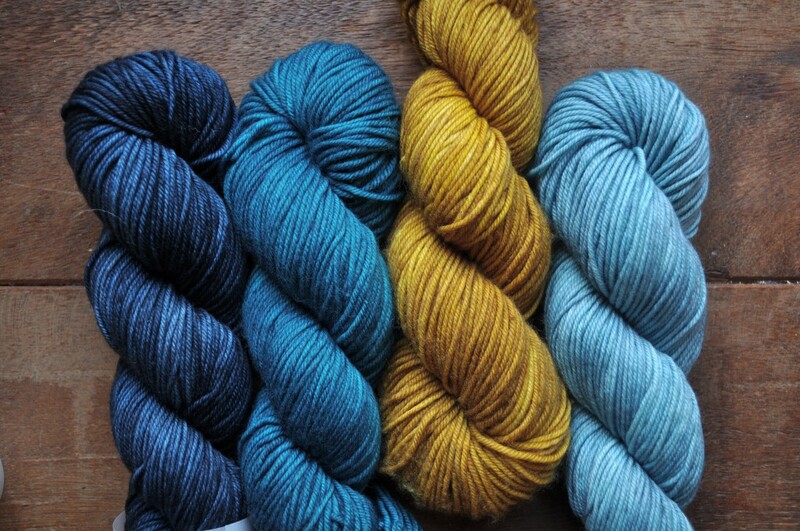 The Uncommon Thread Lush Worsted (L-R) Into Dust, Manuscript, Les Fleurs, Tea Smoked. 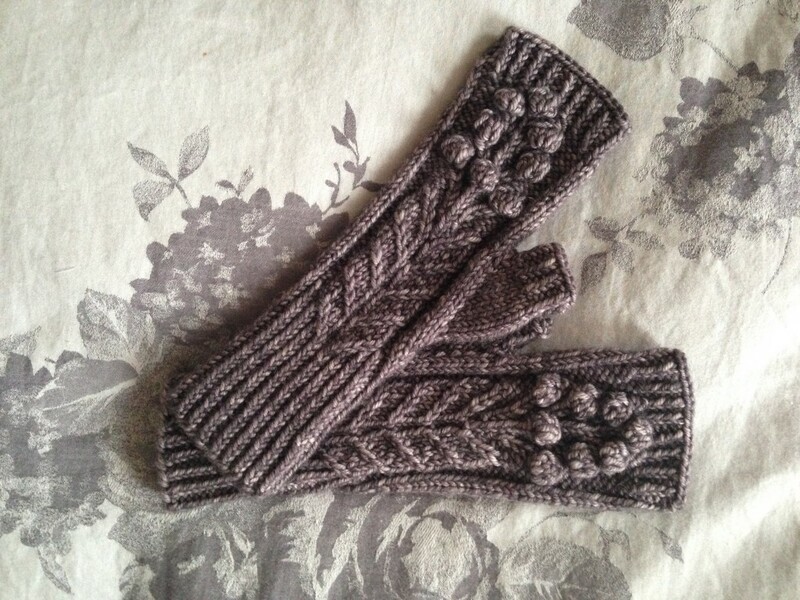 Many thanks to Rachel Atkinson for Spring Bloom Mitts! 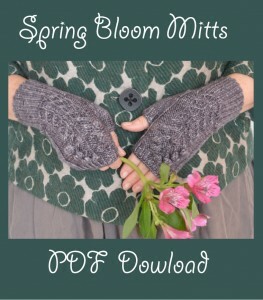 Spring Bloom Mitts is a free pattern. All images and text are copyright of Loop Knitting Ltd. It is for personal and non-profit use only. This means you can knit it for yourself, as a gift or for charity. You may not sell a garment made from this pattern. You may not reproduce this for sale. Please ask if you wish to translate it or use to teach a class. ‹ Head over Heels for Rachel Coopey’s Socks! Ces mitaines sont superbes ! Merci beaucoup ! is there a picture of the back of the spring bloom wristwarmers? the reason i ask is at the end of round 4, after the panel, you knit the twisted rib to end of round. then on round 5 after the panel, you knit to the end of the round. so when you repeat rounds 4-8 twice you end up with a twisted rib after the panel, everytime you repeat round 4 and all the rest are knit? am ready to knit this section so i will wait to hear back. thank you. You might be confusing the Repeat Rows 4-8 bit of the panel instructions with the actual glove pattern. As the pattern says on the glove instruction section, row 5 sets the pattern where you are working through the panel while knitting the other stitches. When it says in the Panel Written Instructions repeat rows x-x, it only refers to the panel instruction rows. The back of the mitts after the rib section is just plain stocking stitch. I hope that helps! Get in touch if you have any other queries. Thank you so much for this gorgeous pattern. The wool, also, is just one big beautifully bundled mass of temptation! Thank you so much, I love these mittens and will be made for me. Could you possibly e-mail me the spring bloom mitten pattern? The link seems to have broken on the web-site. I bought the wool at Loop this lunchtime and can’t wait to get started. If that doesn’t work, try with a different browser, and if you’re still having trouble please let us know. Thank you the link you sent worked a treat!